Research is ongoing into the best ways to minimise the growth and spread of Legionella bacteria in water systems. While many methods have been identified as useful for legionella disinfection purposes, some work better in some scenarios than others. Here, the water safety experts at Legionella Control International briefly examine how seven specific methods can be useful in helping to prevent this waterborne bacterium from contaminating man-made water systems and causing illness in humans. Controlling water temperatures is one of the most effective ways of preventing the growth and spread of Legionella bacteria. The ideal temperature range for the growth of the bacteria is between 20 and 45 degrees Celsius. Outlet temperatures for cold water should therefore be kept below 20 degrees Celsius, and hot water outlets above 50 degrees Celsius (55 degrees in healthcare environments) to control the bacteria. Where these temperatures cannot be achieved alternative methods of legionella disinfection should be considered. The use of chlorine dioxide is a well-known method used to help ensure manmade water systems can keep legionella bacteria levels under control. It’s an oxidising biocide that’s usually generated in-situ and is suitable for potable water applications. Its success is dependent on a full review of the site, to determine how much chlorine dioxide should be used and how often. Various elements come into play here, including the temperature of the water in the system. Various tests have confirmed that copper and silver ions can kill 99.9% of Legionella bacteria present in a system. NASA has used this form of disinfection to provide safe drinking water for those aboard Apollo space shuttles in the Sixties. It has also been successfully used in dozens of hospitals in the UK. It has proved to be a powerful method for reducing the instances of Legionnaires’ disease in locations using it. Chloramines are formed when ammonia and chlorine are combined, the type of chloramine will depend on the amounts of chlorine and ammonia present. 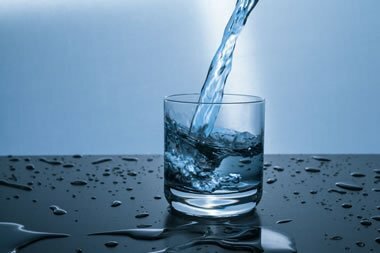 Chloramines have been shown to bring about a dramatic reduction in Legionella bacteria in water systems soon after its introduction. They create fewer by-products than when chlorine itself is used and are typically used at concentrations ranging from 1.5 – 2.5 mg/L. Legionella control point-of-use filters describe specialist filters that are typically used at points where water is put into use (taps, showers etc. ), either as a source of drinking or washing, for example. Legionella is one of several waterborne pathogens that has been proven to be stopped in its tracks by such filters. Typically these point-of-use type filters need replacing on a regular basis as the filter pores become blocked over time. The use of ultraviolet-light is a disinfection technique that has been used to reduce the proliferation of legionella bacteria in hospital and healthcare environments. However, research has indicated it should be used as a focal method of disinfection, in conjunction with another regularly-used method to achieve the best results. Stabilised silver hydrogen peroxide is a chemical disinfectant developed using hydrogen peroxide with trace amounts of silver added to improve its potency. It is effective against legionella, other waterborne pathogens and biofilm and is used to disinfect engineered water systems including pipework, water tanks and other system components. This silver peroxide product has proved to be a very effective method for controlling legionella and other waterborne bacteria in facilities using it. Whilst this is not an exhaustive list, all the above legionella disinfection methods have been proven to work in reducing Legionella bacteria to safe levels in manmade water systems. Some are shown to work better in some situations than in others. However, it is reassuring to know research goes on to find out which methods work best – and are easiest to use – in the ongoing battle against the dangers associated with legionella. Protecting our manmade water systems for the use of all is of paramount importance. What to Do When Legionella is Found in Hospitals?